Reckitt Benckiser Resolve Carpet Triple Action Cleaner - 22 Oz. Reckitt Benckiser Spray N Wash Trigger Spray Cleaner - 22 Oz. Reckitt Benckiser Lysol To Go Crisp Linen Disinfectant Spray - 1 Oz. 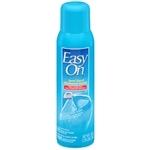 Reckitt Benckiser Easy On Speed Starch Linen Scent - 20 Oz. Reckitt Benckiser Lysol Antibacterial All Purpose Cleaner - 1 Gal. Reckitt Benckiser Lysol Disinfectant Foam Aerosol Cleaner - 24 Oz. Reckitt Benckiser Lysol Disinfectant Country Scent Spray - 19 Oz. Reckitt Benckiser Lysol Concentrate Sanitizer - 1 Gal. Tigers Milk Peanut Butter - 1.25 oz. Tigers Milk Crunch Kling Size Peanut Butter - 1.25 oz. Glass Plus Multi Surface and Glass Cleaner - 32 fl.oz. Professional Lysol Basin Tub and Tile Cleaner - 32 Fl. Oz. Lysol Original Scent Disinfectant Spray - 19 oz. 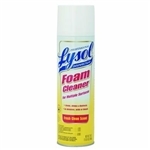 Lysol Foam Cleaner Disinfectant Aerosol - 24 oz. Lysol Pine Action Cleaner Oil - 1 Gal. Lysol Disinfectant Spray Water Fall Scent - 12 Oz. 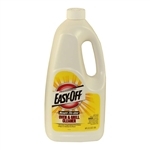 Professional Easy-Off Oven Cleaner Aerosol Can - 24 oz. 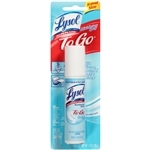 Lysol Professional Fresh Scent Spray - 19 Oz. 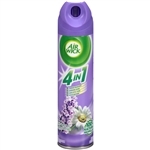 Air Wick 4 in 1 Aerosol Air Freshener Lavender and Chamomile - 8 Oz. Lysol Lemon and Lime Blossom Sanitizing Wipes 110 Ct.
Neutra Air Sanitizing Spray Rejuvenating Morning Linen - 10 Oz. Airwick Freshmatic Refill Fresh Waters - 6.17 oz. Lysol Disinfectant Spray Country Scent - 19 Oz. Mop and Glo Floor Shine - 64 Oz. Rid-X Septic System Treatment Concentrated Powder - 9.8 oz. Lysol Disinfectant Crisp Linen - 19 Oz. Lysol RTU All Purpose Cleaner Lemon Breeze - 32 Oz. Lysol Heavy-Duty Bathroom Cleaner - 1 Gal. Lysol Disinfectant Spray - 19 Oz. Lysol I.C. Foam Cleaner - 24 oz. 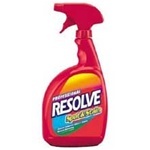 Professional Resolve Stain Remover Carpet Cleaner - 32 Oz. Neutra Air Sanitizing Spray Energizing Citrus Zest - 10 Oz. Lysol Lemon and Lime Blossom Sanitizing Wipes 80 Ct.
Air Wick Freshmatic Ultra Lavender and Chamomile - 6.17 Oz. Lysol Spray Foaming Disinfectant Cleaner - 24 Oz. K-Y Personal Lubricant Jelly - 2 Oz. Frenchs French Fried Onion Original - 2.8 Oz. Lysol Disinfectant Spray Fresh - 19 Oz. Tigers Milk King Size Protein Rich - 55 Grm. Tigers Milk Protein Rich - 1.25 Oz. Brasso Metal Polish - 8 Fl. Oz. Woolite Original Scent Fabric Wash - 50 fl.oz. Franks Red Hot Chile n Lime Sauce - 12 Oz. Lysol Antibacterial Kitchen Cleaner - 32 Oz. Lysol Spring Water Fall Disinfectant Spray - 19 oz. Lysol Antibacterial All-Purpose Cleaner Concentrate - 1 Gal. Lysol Disinfectant Spray Aerosol Crystal Waters - 12.5 Oz. Clean Linen Disinfectant Spray - 7 oz. Professional Easy-Off Oven Grill Cleaner - 64 oz. Lysol Crisp Linen Scent Disinfectant Spray - 12.5 Oz. Lysol All Purpose Plus Bleach Cleaner - 32 Fl. Oz.